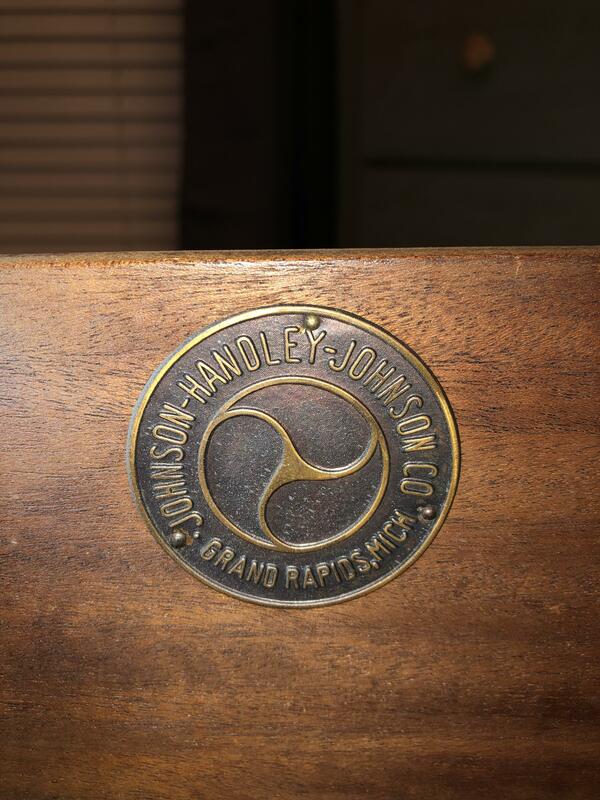 One four drawer dresser and one five drawer dresser from the Johnson Handley furniture company. 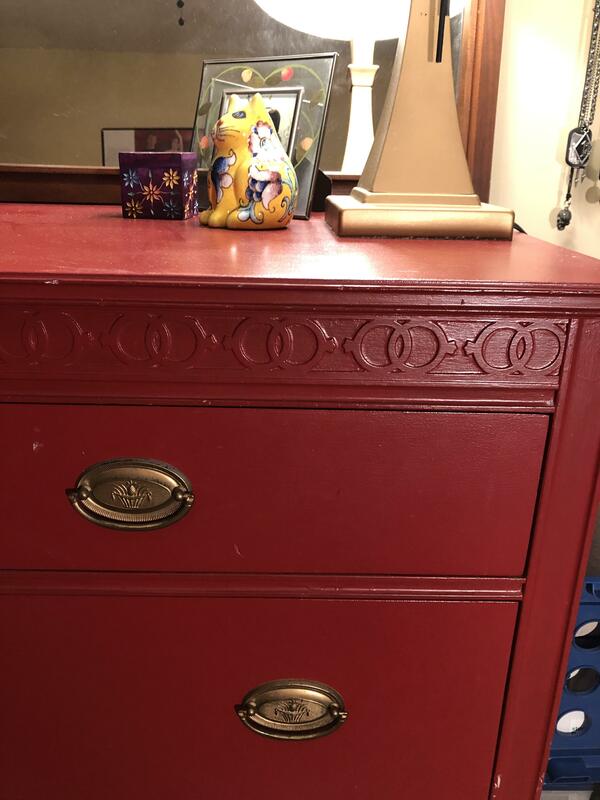 I believe that they are both solid maple wood, possibly original hardware (pineapple in a basket on drawer hardware) Dovetail drawer construction with interlocking ring inlay pattern along top front of each dresser. 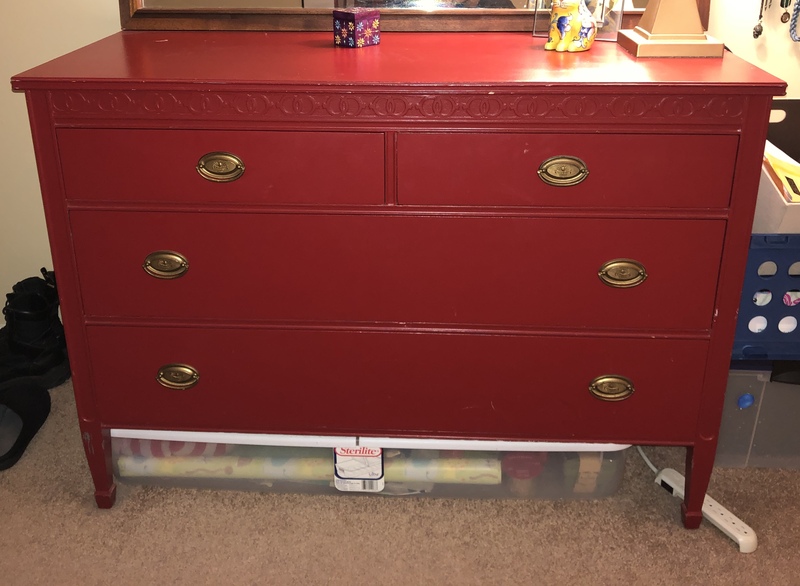 Both dressers are painted red, hardware painted gold. 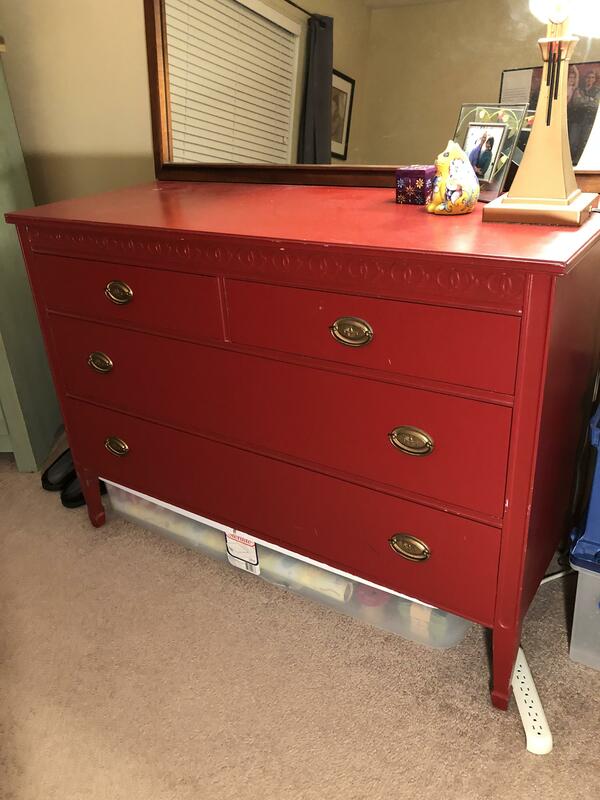 Measurements on four drawer: 48”L x 22”Wx34”H . 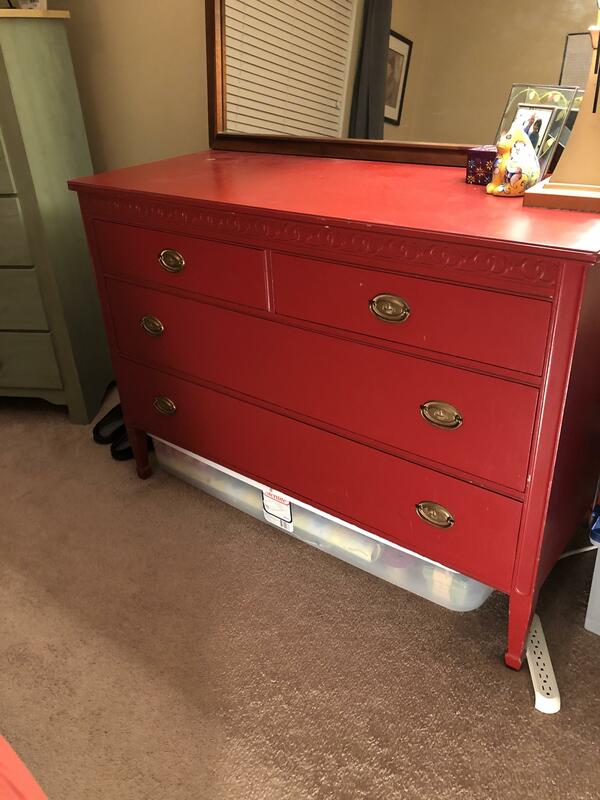 Five drawer: 34”L x19”W x 48”H. 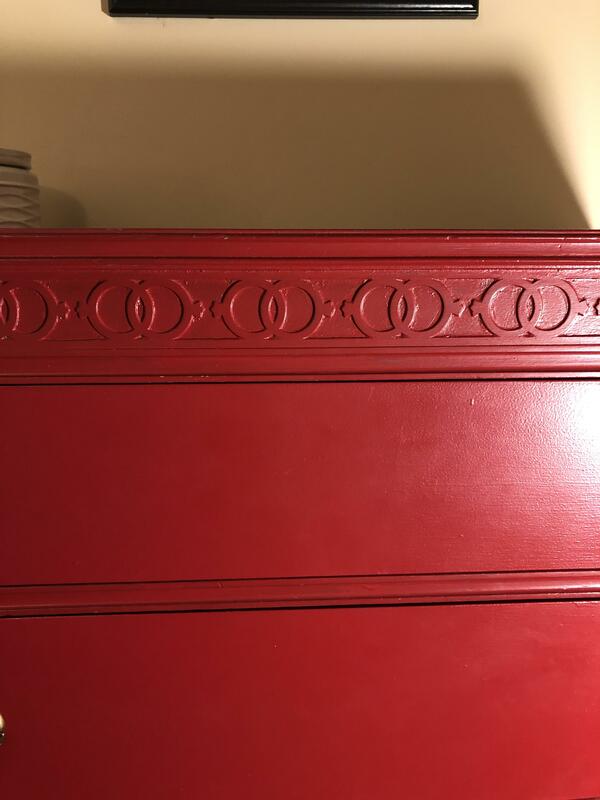 These are Federal Revival pieces, most of these date from the second quarter of the 20th Century, the red paint is not likely original to the set. 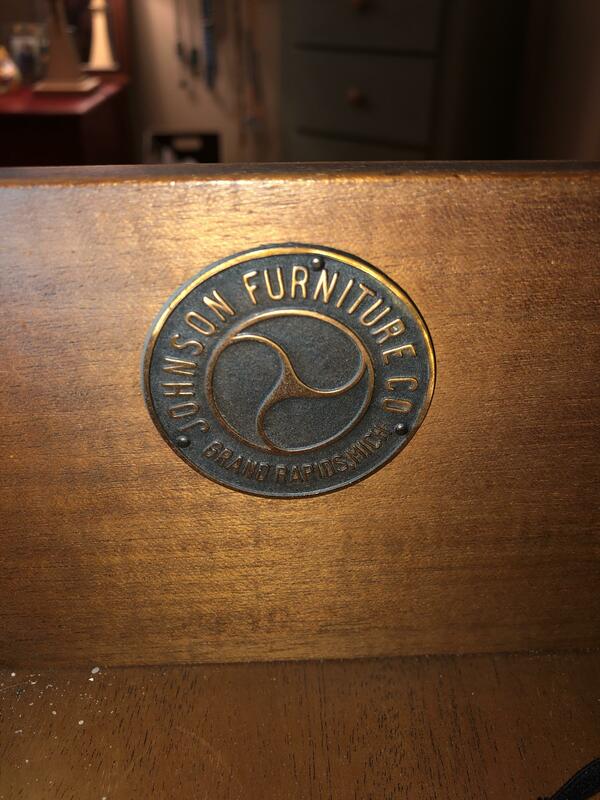 Demand for pieces like this last peaked in the early 1990's, since then it's been bottoming out. 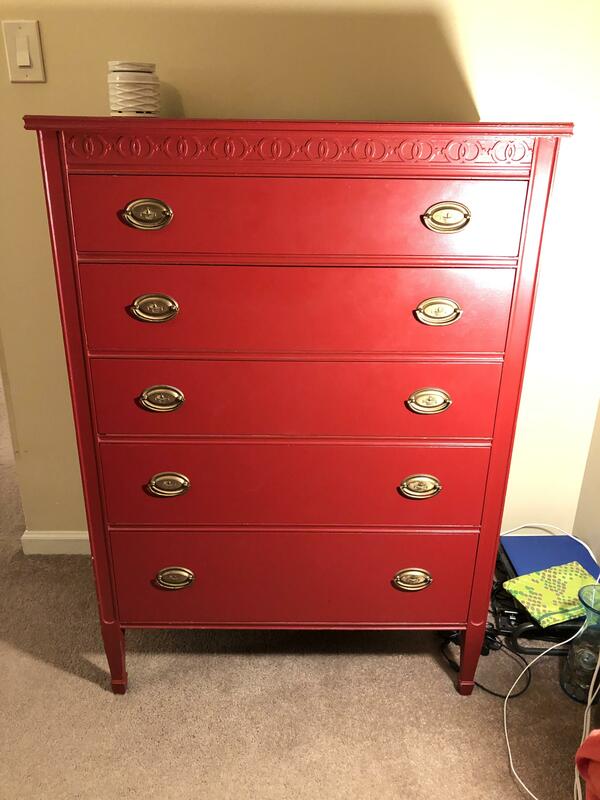 At auction the pair would go for under $250.00.